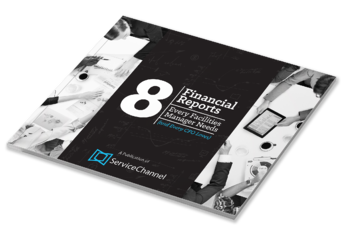 Discover the financial KPIs you need to make better decisions and create actionable reports. As a facilities manager, you know it's critical to maintain visibility into all aspects of your operations, particularly from the financial perspective. Moreover, you need to showcase success of the program to executives, especially the CFO, with data reports that reflects the FM team’s work accurately. Top Trades: Understand what you’re spending in each department, such as janitorial and equipment service. Compare periods to make smarter spend decisions in the future. Top Contractors: See how much you’re paying each service provider over set periods of time. Use this information to negotiate better rates and uncover savings opportunities. Top Locations: Discover which of your locations require more repair and maintenance spend and how they change over time. Review why and take action to even out spending across your locations. For the best visibility into your financial performance, use the metrics at your disposal to make data-backed decisions, gain visibility for your program, and showcase actionable data to executives. Use metrics discussed in this Ebook to stay ahead of the curve and increase the overall value of the FM position within the rest of the company. "With ServiceChannel Analytics, we’re able to slice and dice data information rapidly and with a high degree of accuracy. We can look at all sorts of different KPIs, benchmarks and performance areas up and down the chain of management within the company, with very little resource expenditure."